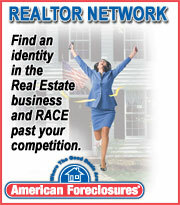 Find pre-foreclosures and real estate properties that have been repossessed by lenders in New York, New Jersey, Connecticut, Pennsylvania and Florida. 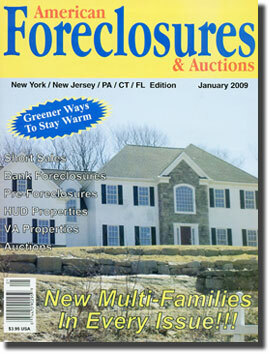 Learn the “How To’s” of getting started in foreclosure investing. Read helpful articles about buying, selling, renovating and financing investment properties. All new properties every month! Go Green. Download the current electronic issue or order an electronic subscription delivered via email and save a tree. Copyright 2019 American Foreclosures, Inc. All Rights Reserved.